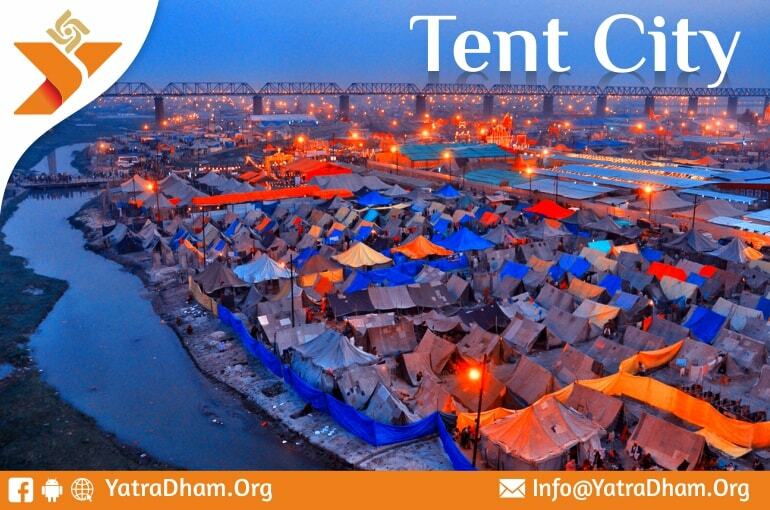 The Tents Service for Kumbh Mela is organized 2-3 Kms from the Kumbh Mela location. The government and private tent providers arranges all the basic necessities required during your stay. You can also get complimentary services depending upon tents and packages you prefer. Kumbh Mela is world’s largest peaceful gathering with nearly 120 million people to have visited in Kumbh Mela in Allahabad, 2013. The Kumbh Mela is even visible to astronauts travelling in Low Earth Orbit with their naked eyes. So, you can perfectly suspect, How grand the Kumbh Mela at Allahabad will be! Kumbh Mela in Allahabad is to be organized on 1st January, 2019 and to be lasting for 45 days, the Kumbh Mela will sum up on 5th March, 2019. The UP government and the Central Government had joined hands to conclude a peaceful gathering of 45 days and to convey all the required facilities to the visitors of Kumbh Mela, 2019. You can avail two types of accommodation for a comfortable stay at Kumbh Mela, 2019. There are about 5,000 tents set-up by the government to provide accommodation to the people. Also, there are several private tent providers that would provide tents for your stay near Kumbh Mela. The Uttar Pradesh State Tourism Development Corporation (UPSTDC) will be setting up several tents for the convenience of the visitors. The cost of the tent may vary depending on the type of tents you prefer to stay. The government had introduced a “INDRAPRASTHAM“, a “City of Eternity” for providing luxurious stay to the visitors of Kumbh Mela at Allahabad. In addition to 5000 tents set up by the government, this time there are 5 Private companies that would be providing tents of different ranges affordable by everyone. Other facilities provided to the yatris differs on the types of rooms you book.